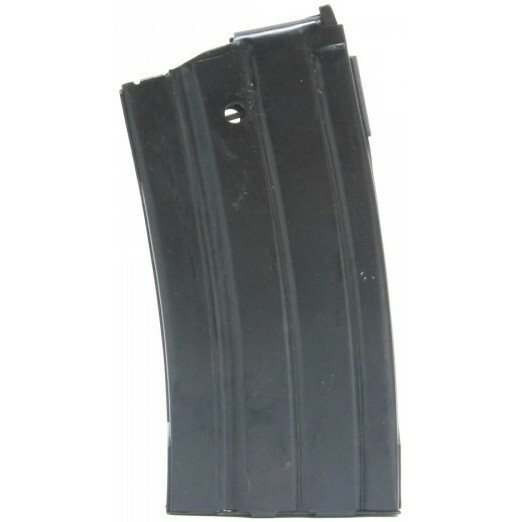 A 20-rd Magazine for Ruger Mini-14® rifles chambered in 223 cal / 5.56x45mm. Magazine body constructed of heat treated steel with a black oxide finish for durability and harsh use in the field. A Chrome-silicon wire spring and precision molded polymer follower ensure reliable feeding and function.